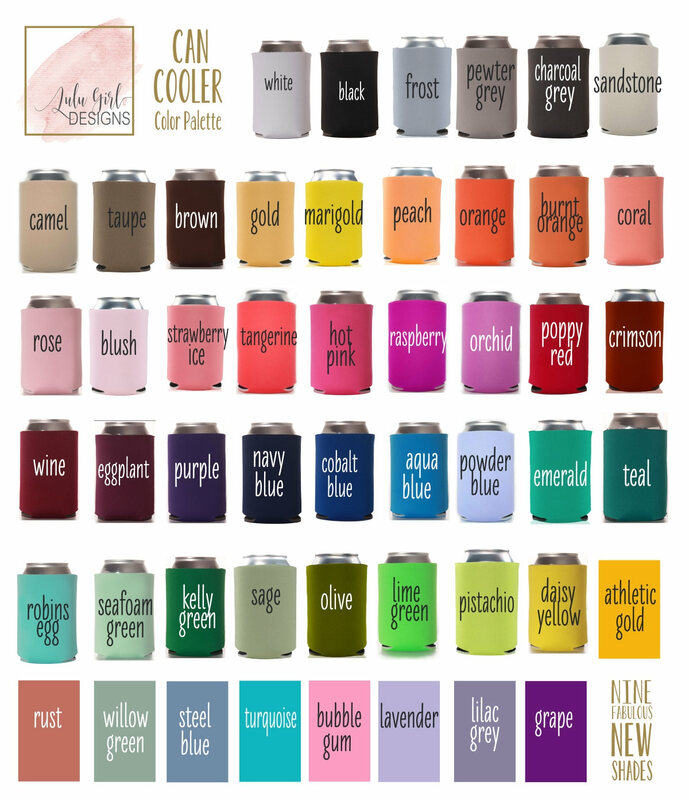 Can coolers are a wedding favor that adds a personalized touch to your reception. 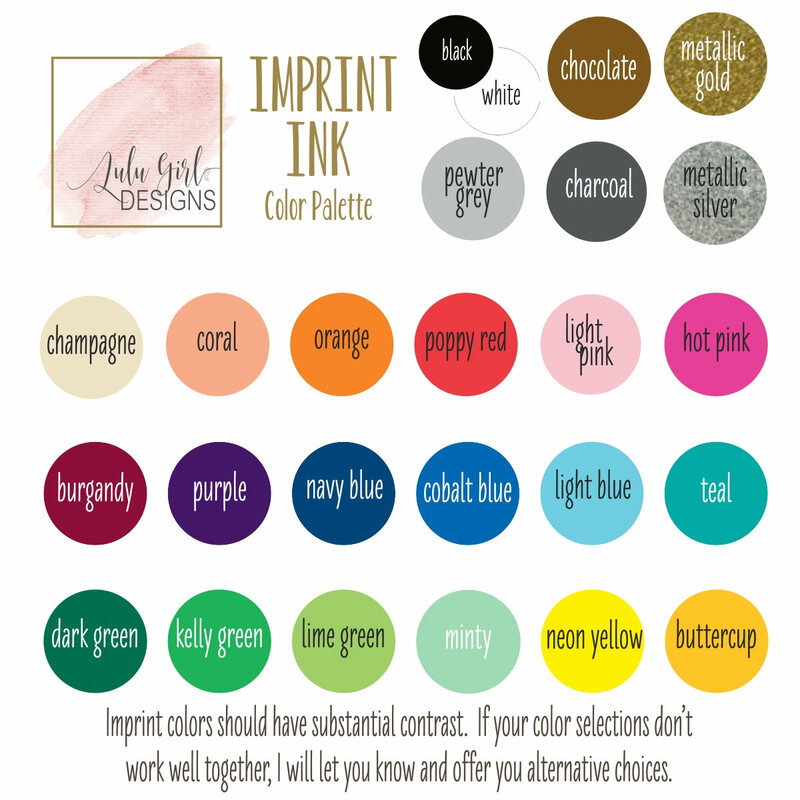 Guests grab them first to use immediately and they tuck in the pocket or purse when the party’s over. 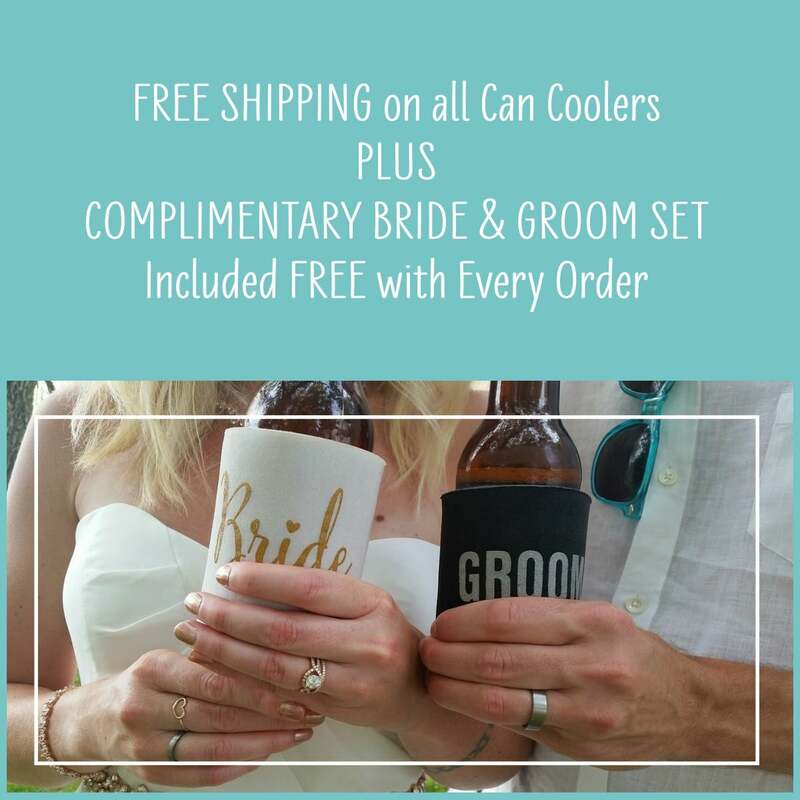 You will be smiling for years to come when your wedding can coolers make party appearances. 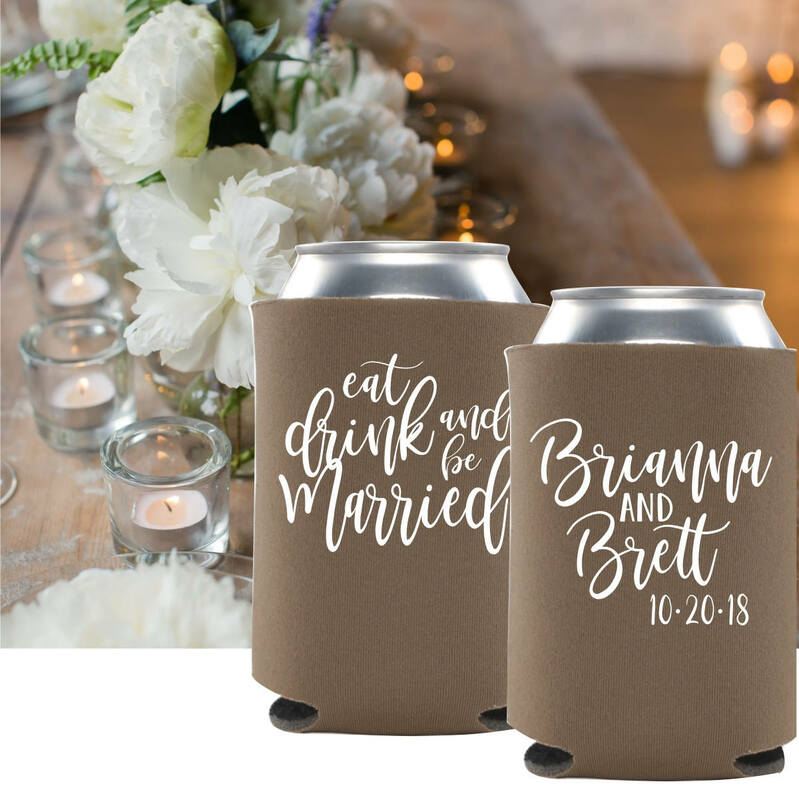 Personalized can coolers are super creative when used as a Save the Date. 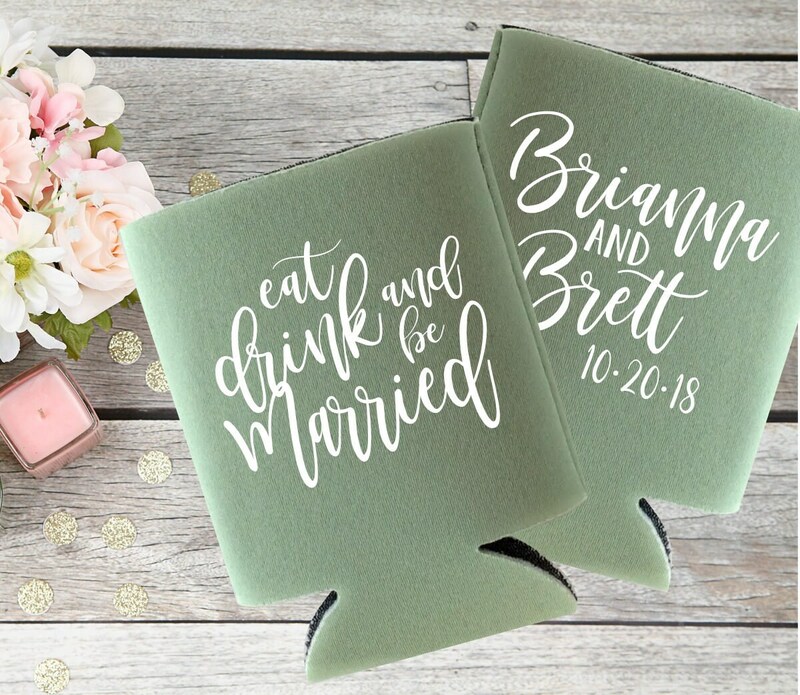 Eat Drink and be Married goes on the front. 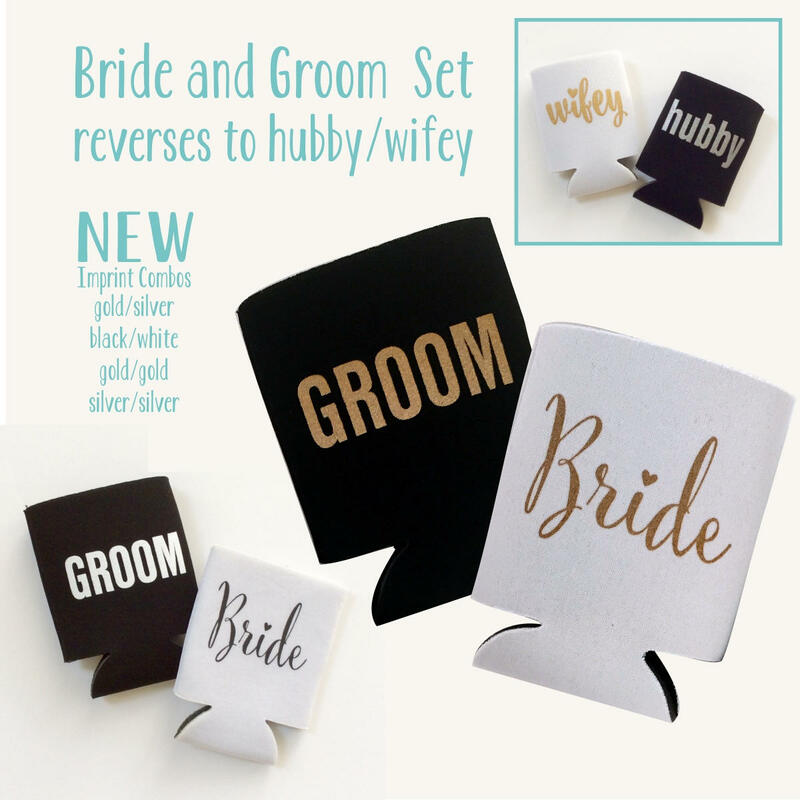 Turn it over to reveal who is getting married with the bride and groom names and wedding date. Now that will be remembered.